A fresh and healthy spring salad, perfect as a light meal or side dish! The first sign of spring is always so exciting. Not only because everything is blooming and the temps are warmer, but I love the fresh produce this time of year. My mind immediately turns to healthier meals made with the freshest seasonal ingredients. As you know by now from reading my blog, I bake A LOT. Baking is my passion, although I love to cook as well. I make dinner almost every night of the week and most everything I make is homemade. Over the past few years I've really tried to cut out processed foods to keep my family healthy. So although I'm a sweets freak and love baking treats, we do eat pretty healthy meals. This salad is just that. 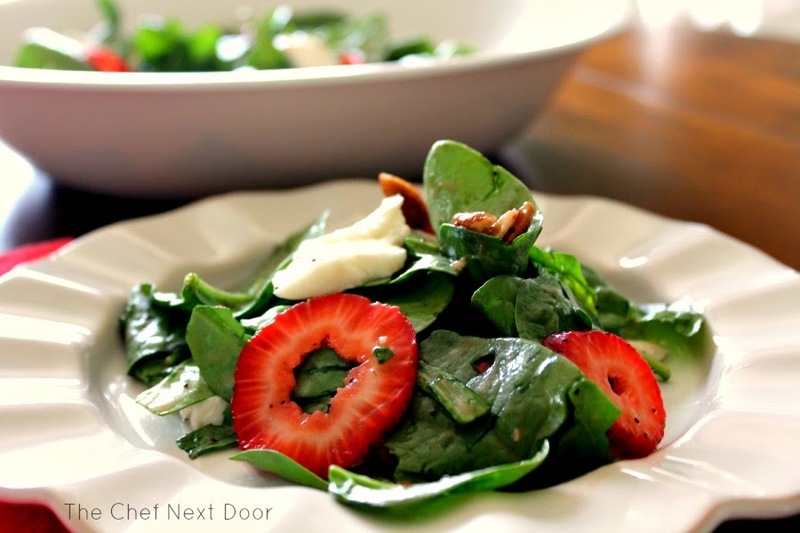 Fresh spinach and strawberries combined with crunchy, toasted pecans and creamy fresh mozzarella cheese. 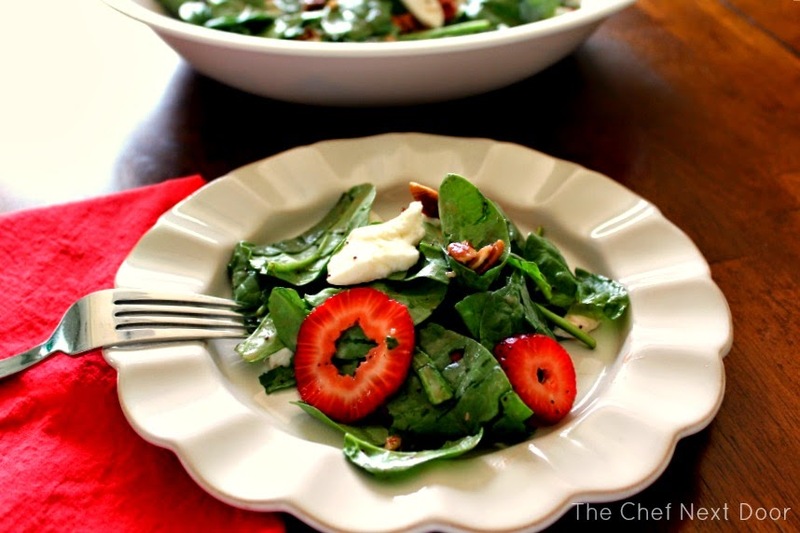 Tossed with a light strawberry poppyseed dressing, you have yourself the perfect light, spring meal. And it's simple to put together! Wash and dry the baby spinach leaves and add them to a large serving bowl. Add the sliced strawberries and pecans and gently toss. Pour the dressing over the top and mix well to combine. Add the mozzarella pieces over the top and add salt and freshly ground pepper to taste. Toss everything together before serving.